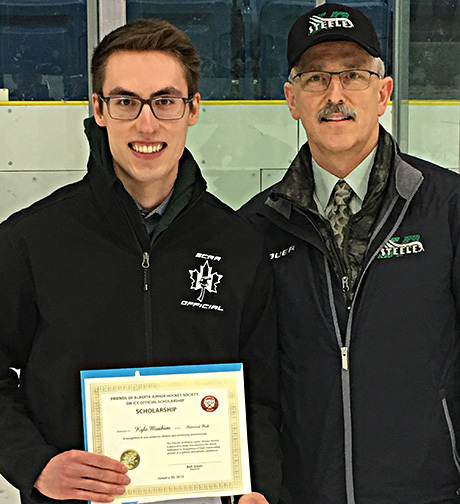 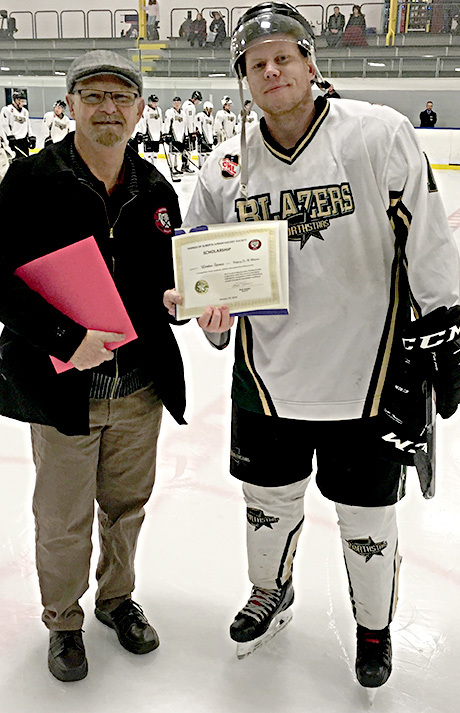 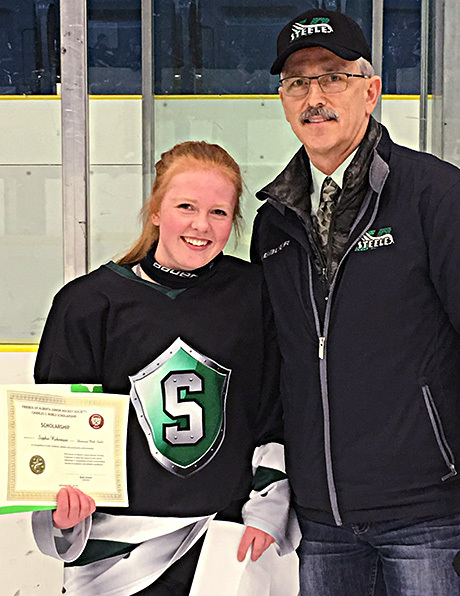 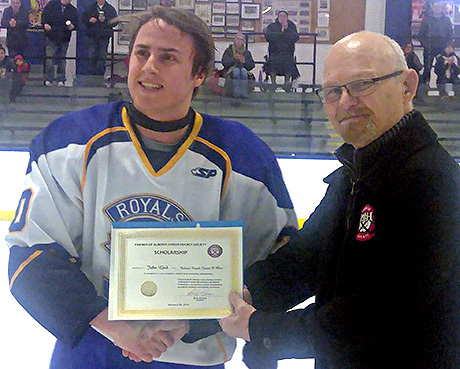 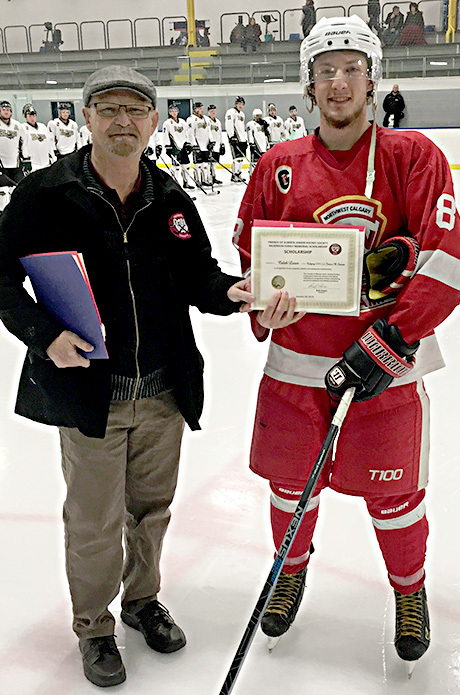 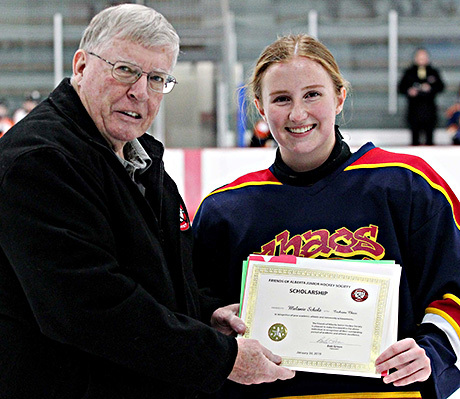 Tracie Kikuchie of the Sherwood Park Steel is presented her Friends of Alberta Junior Hockey Society scholarship by Glenn Ball of the Friends of AJHS. 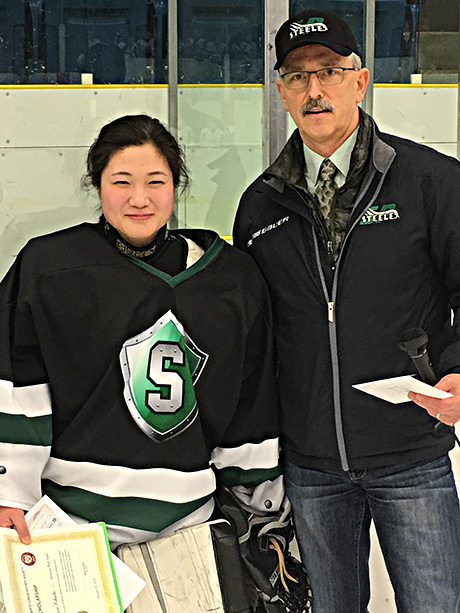 Sophie Robertson of the Sherwood Park Steele is presented her Charles S. Noble Scholarship by Glenn Ball of the Friends of AJHS. 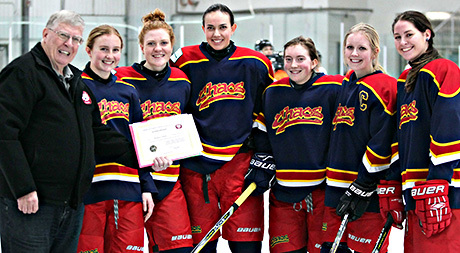 Top row: Kaylin Herman, Aspen Kozak and Faith Gette receive their Charles S. Noble Scholarships from the Friends of AJHS Bob Green. 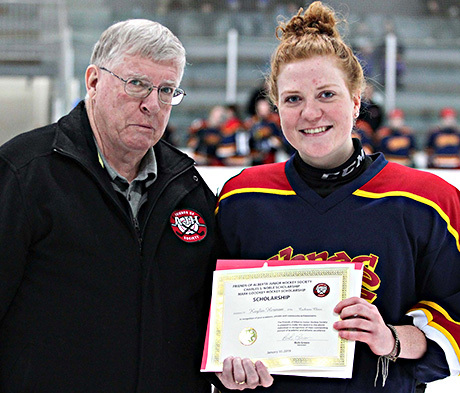 Bottom row: Ryann Altwasser, Brooklyn Carels and Melanie Scholz receive their Friends of Alberta Junior Hockey Society Scholarship from the Friends of AJHS Bob Green. 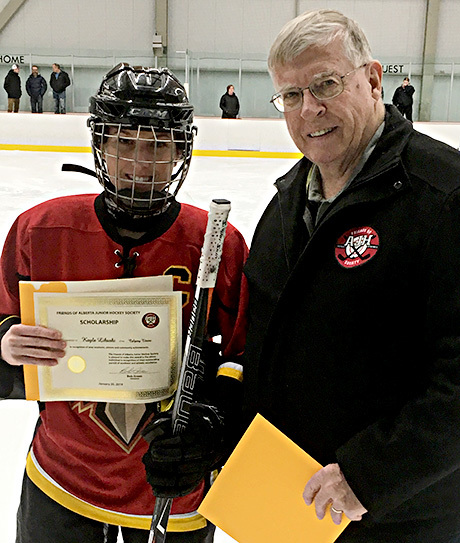 Cheyann Newman wins Friends of AJHS Scholarship!!! 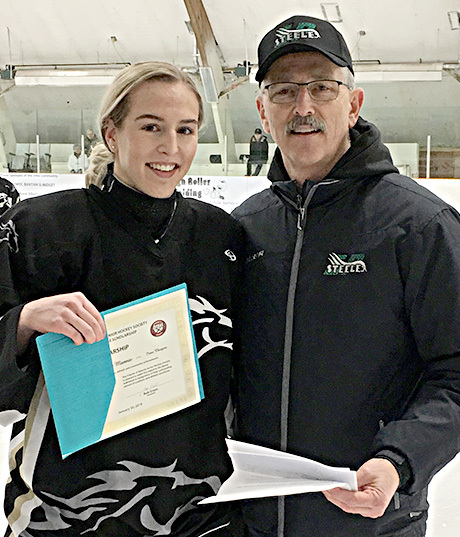 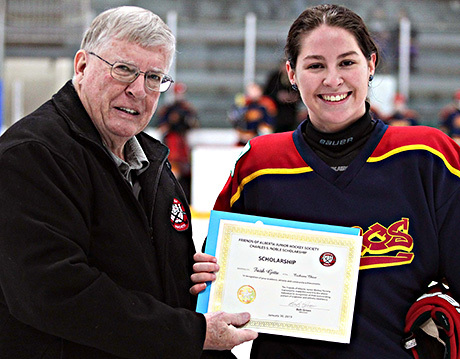 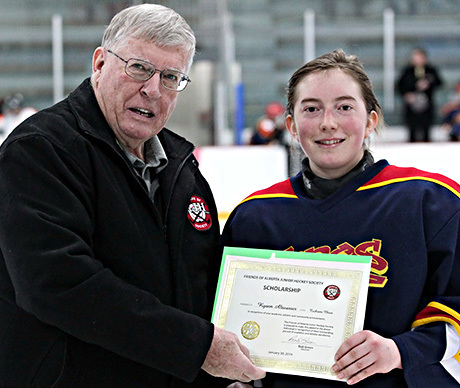 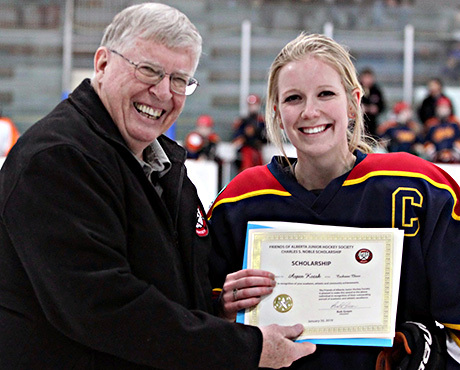 Cheyann Newman of the Calgary Titans receives her Friends of Alberta Junior Hockey Society Scholarship from the Friends Bob Green. 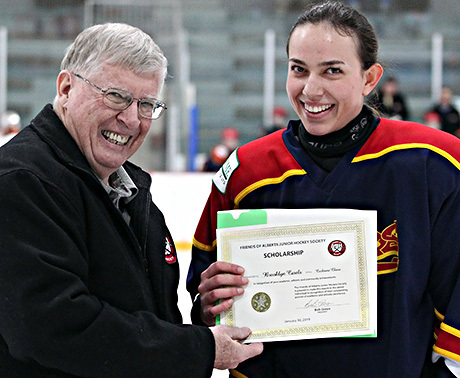 Calgary Titans Kayla Likuski wins Friends Scholarship! 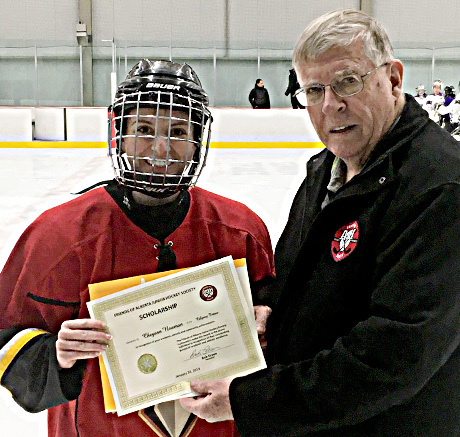 Friends of Alberta Junior Hockey Society’s Bob Green presents Calgary Titans player Kayla Likuski with her Friends of Alberta Junior Hockey Society Scholarship!